Considering a website or need an email campaign or online survey? Here are a few samples from our portfolio. Whether you want a simple html site, animations, dynamic application or E-commerce storefront we can deliver on time and in budget. 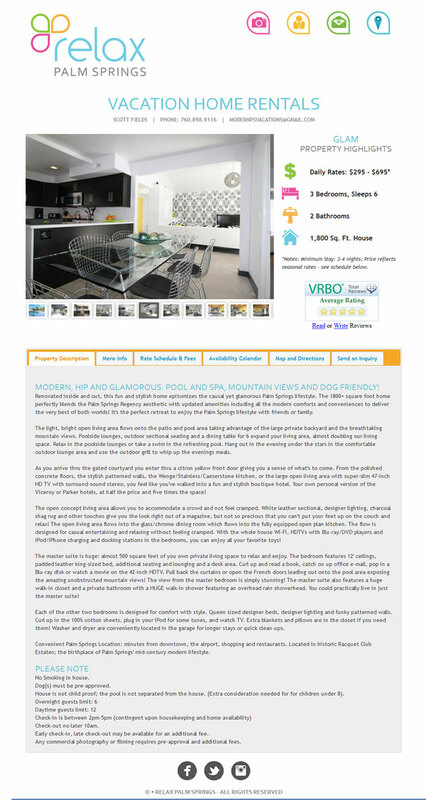 This company manages rental properties in Palm Springs and surrounding areas. It is a responsive website with several JQUERY and Ajax add-ins to give it exciting animations and a rich user experience. This site went into production in the fall of 2014. This site is updated as needed with rate changes and new properties.